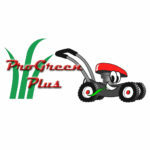 How to Charge A Car Battery With A Chainsaw - ProGreen Plus | Knoxville, TN | Lawn Mower Parts | Riding Lawn Mower Parts | ServiceProGreen Plus | Knoxville, TN | Lawn Mower Parts | Riding Lawn Mower Parts | Service | We've Got Your GRASS Covered! How to recharge your car’s battery like MacGyver…. This video is neither as dangerous nor as insane as the title indicates, if only because you’re only using the chainsaw’s motor and not the actual chain itself. Do not take a chainsaw to your engine without first removing the chain. It would be bad. With the chain, frame and sprocket removed from the chainsaw and an old fan belt, piece of rope, or even your shoelaces attached to the saw, you can remove the fan belt from your car’s alternator pulley. Slot the fan belt attached to the chainsaw onto the alternator pulley, and turn the saw on. The spinning alternator can now generate a current, recharging your battery, much like it would if your car’s engine were actually running. Although the video demonstrates that it can be done…you must plan that this is going to happen and have a few other supplies and details handy….